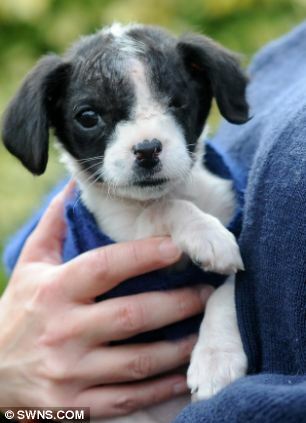 Little Bob weighed less than a kilo when he was found dumped in a vets’ car park suffering from the extreme cold and a ruptured eyeball. 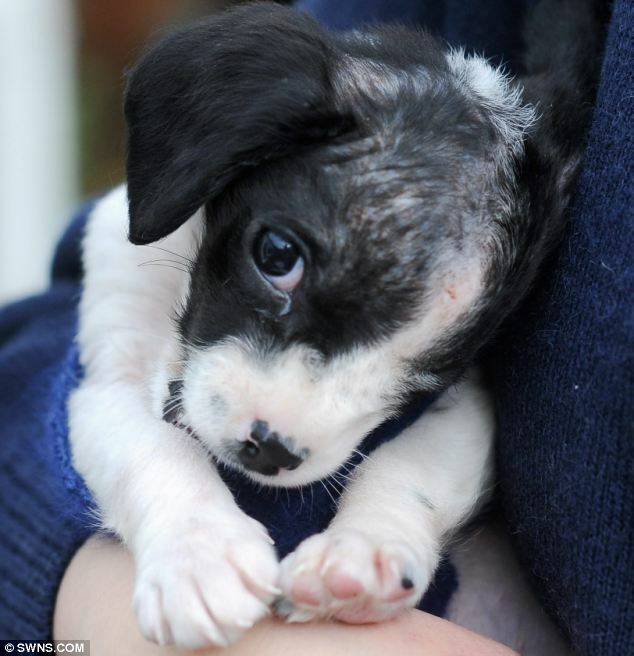 Medics at the surgery in St Albans, Herts, claim it is a miracle that the eight-week-old mutt — who also suffered painful skin blistering and mange — survived the night. 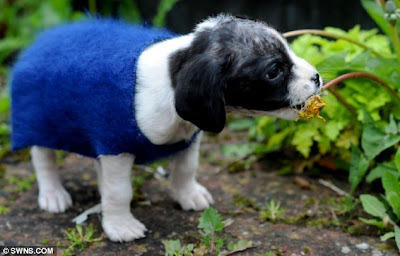 Poor Bob was so weak that RSPCA vets had to cut holes in a woolly hat to create a tiny jumper to keep him warm. 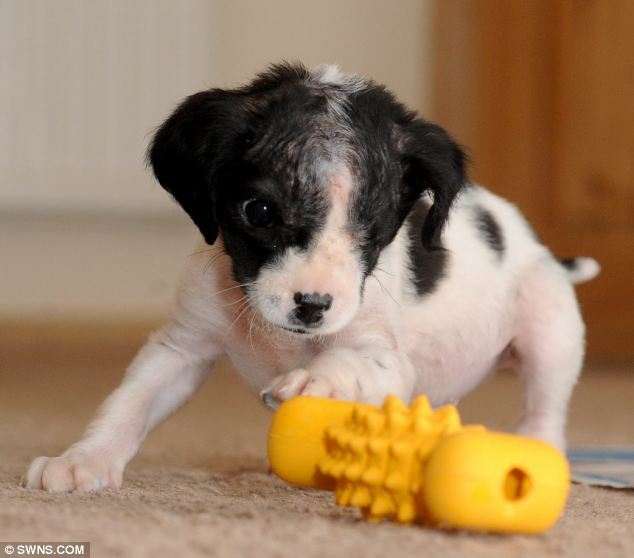 Unfortunately his condition was so bad that they could not save the sight in one eye. 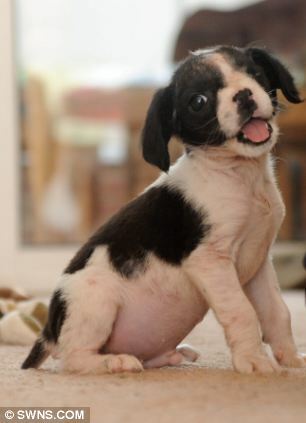 But the bubbly pup hasn’t let his disability hold him back and is now happily bounding around. RSPCA Inspector Mel Fisher said: “I cannot believe that someone would do this to such a poor innocent animal. “He is only around eight weeks old and is probably the tiniest puppy that I have known to be abandoned. 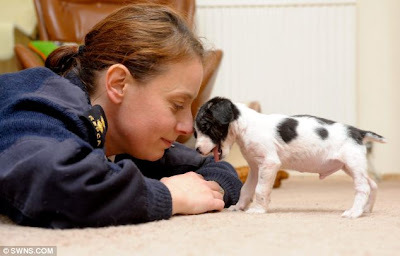 “He really is that small and so I was very surprised he managed to survive after the ordeal he has been through. 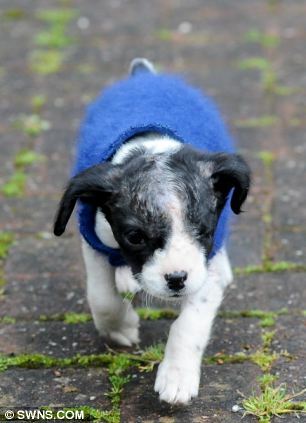 “He was dumped during some horribly cold weather, and on top of that he had his ruptured eye and was so skinny. 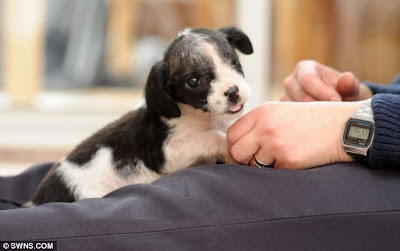 He is a very lucky pup to have survived. 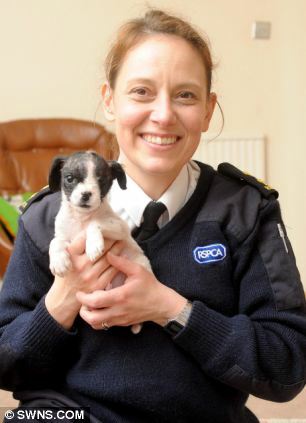 The RSPCA believe the unwanted pup had been dumped by its owner and left to fend for itself overnight. He had been left in a cardboard box, but had managed to get out, and was wandering around aimlessly in the car park. Now he will be nursed back to full strength before being rehomed. Animal experts say Bob is too small for them to know exactly what breed he is but they believe he is a cross between a terrier and chihuahua. 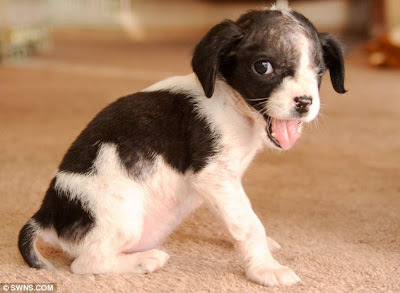 5 responses to "Puppy nursed back to health despite losing an eye"
Find the one responsible, puncture THEIR eye, strip them naked, force them to wander aimlessly in Siberia. An eye for an eye? Hell, yes! Loving care can overcome a lot. Lucky dog.